Gowda first contested from the Hassan Lok Sabha constituency in 1991 and has won the seat in five elections since. 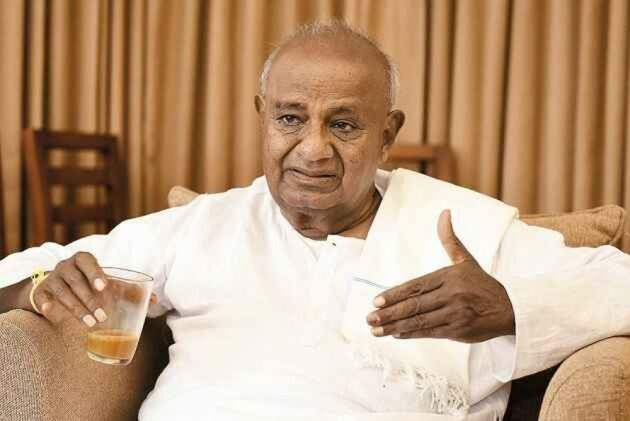 Janata Dal (Secular) supremo H D Deve Gowda will contest the Lok Sabha elections from Tumkur, his party announced on Saturday. Over the past week, speculation was rife over Gowda's choice of seat, given that he had handed over his home-constituency Hassan to grandson Prajwal Revanna. Gowda first contested from the Hassan Lok Sabha constituency in 1991 and has won the seat in five elections since. Last year, ahead of the Karnataka state assembly elections, he had said that he would vacate the seat for Prajwal, son of H D Revanna. According to reports, there were calls for Deve Gowda to contest from Bangalore North as the JD(S)-Congress coalition candidate. The Tumkur Lok Sabha seat has been a thorny issue in the seat-sharing negotiations between coalition partners JD(S) and Congress. In 2014, the seat was won by Congressman S P Muddahanumegowda. While the Congress party has ceded the seat in favour of the JD(S), Muddahanumegowda has struck a rebellious stance, telling reporters on Saturday that he too would file his nomination for the Tumkur seat. Mission Shakti: What Is A-SAT Weapon? Why Is It Significant?